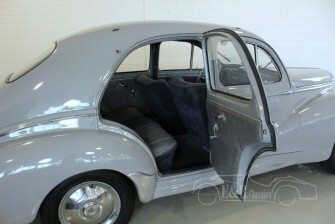 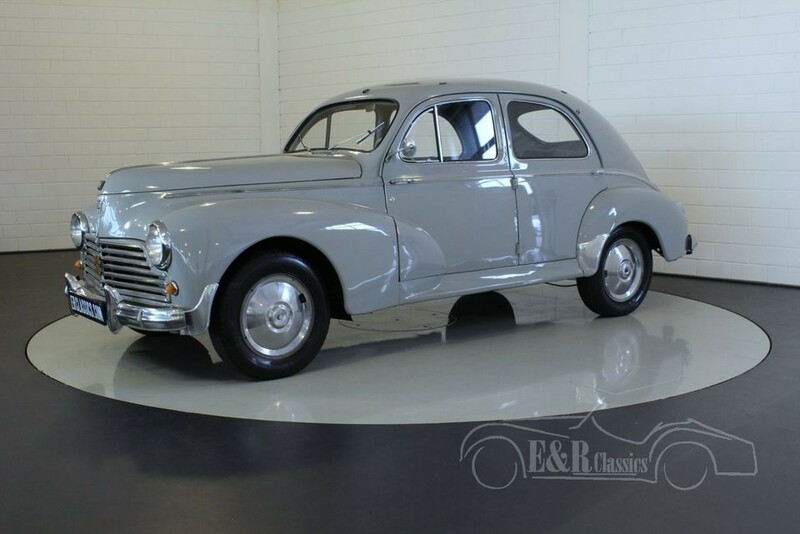 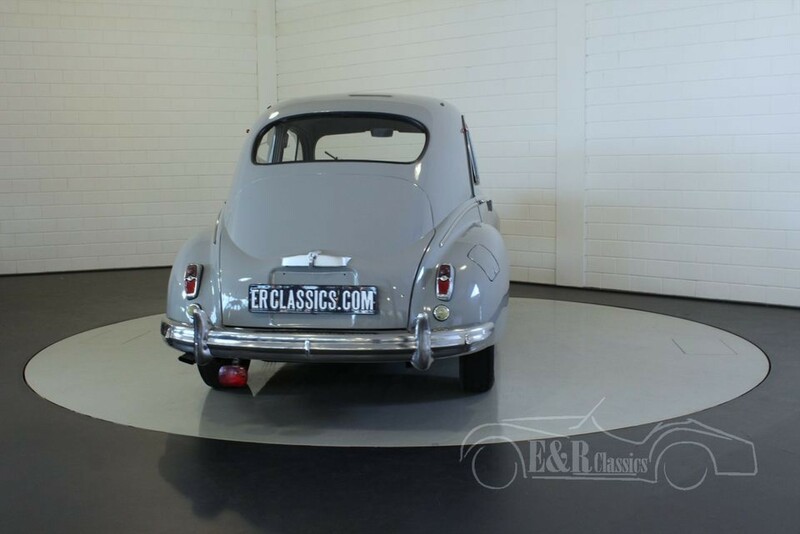 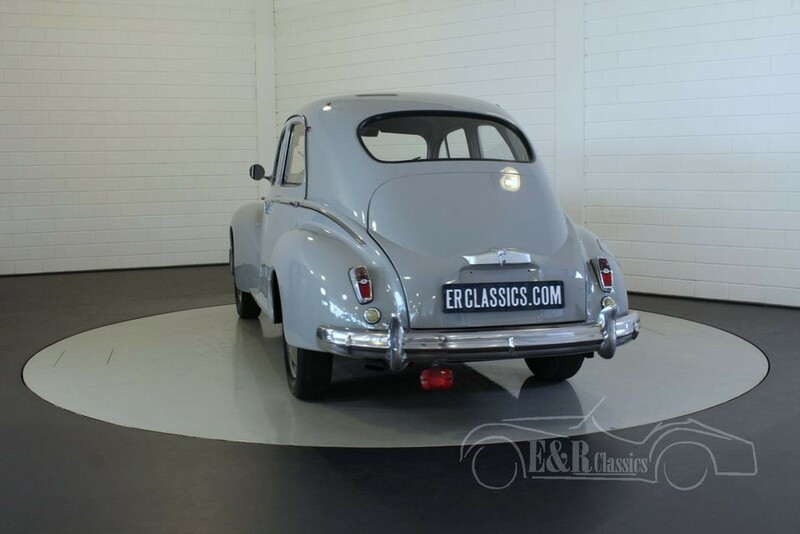 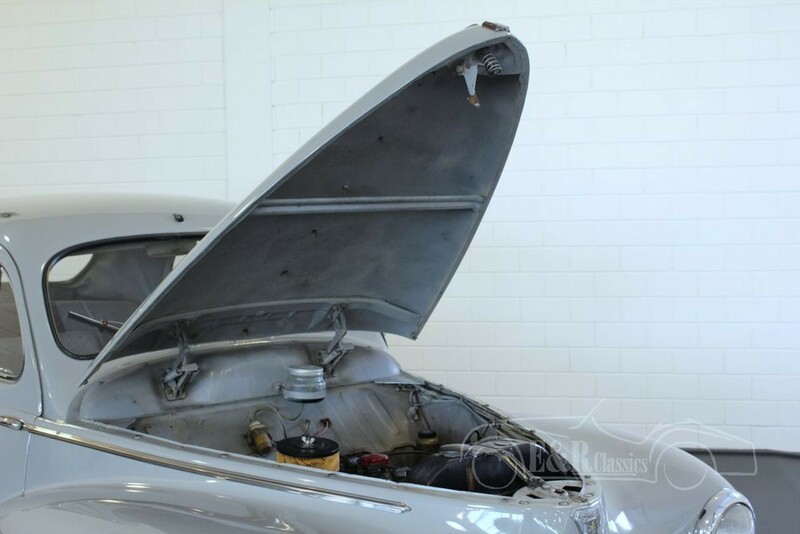 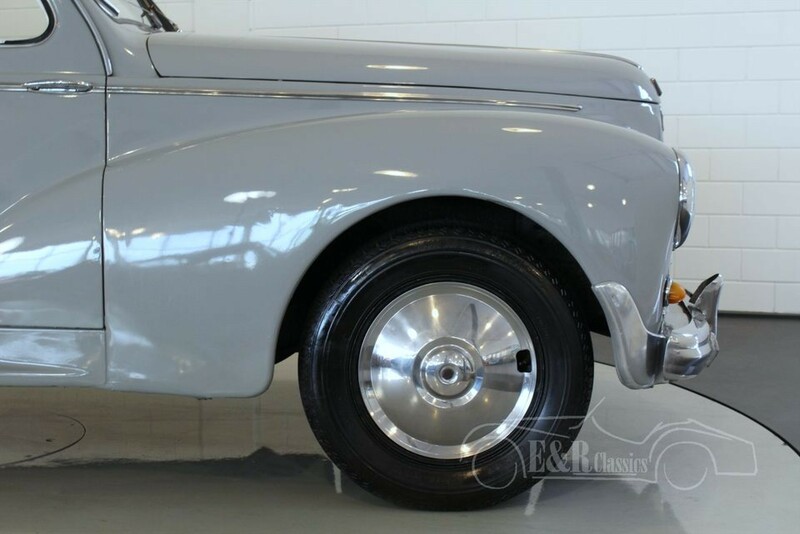 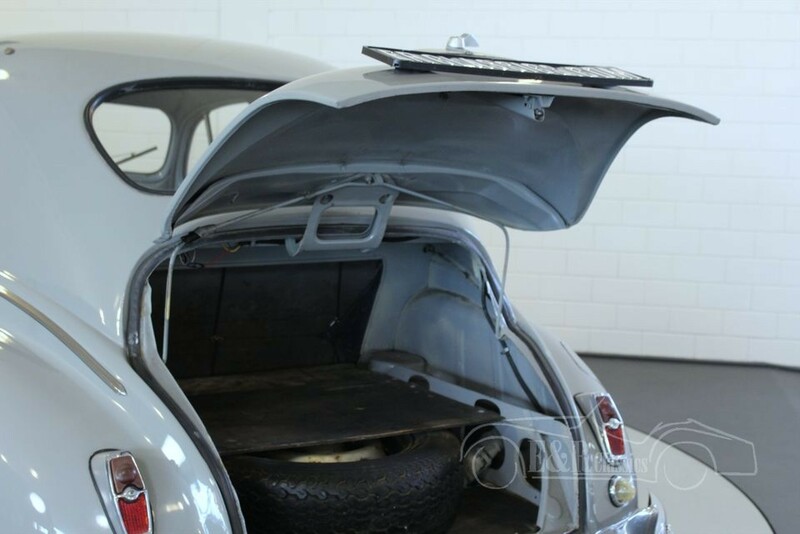 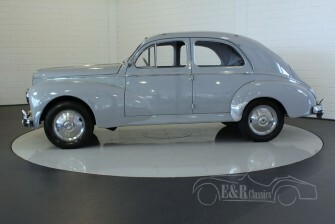 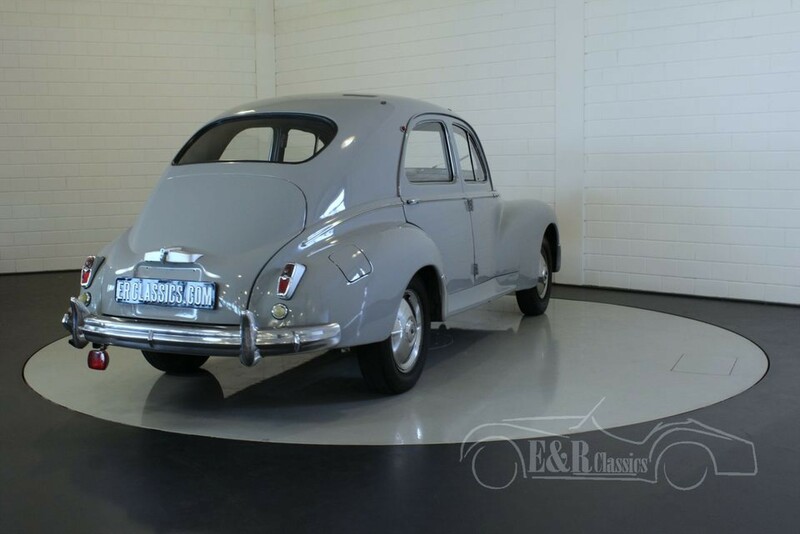 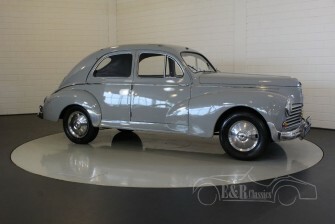 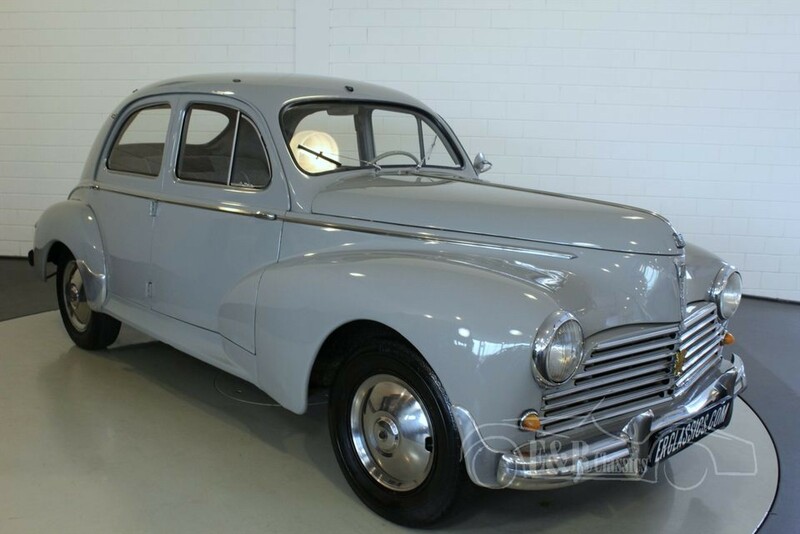 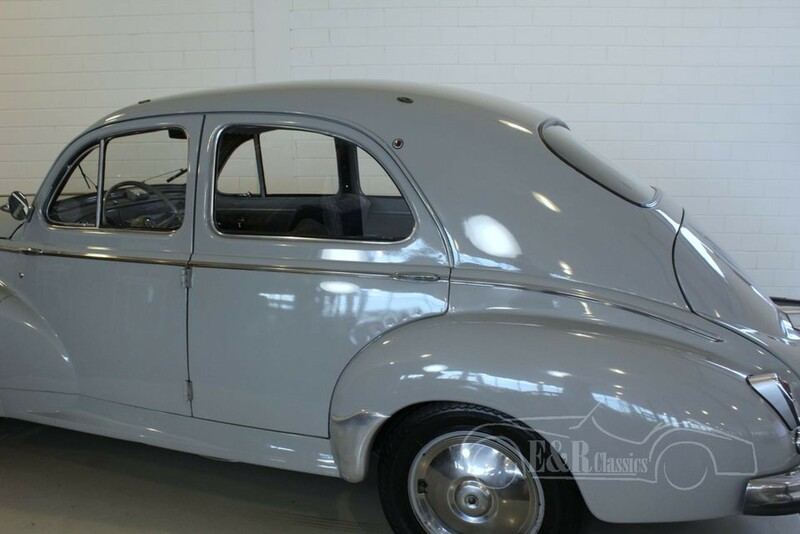 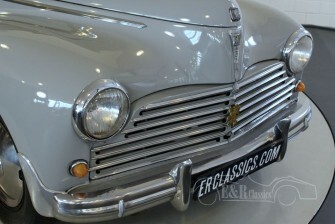 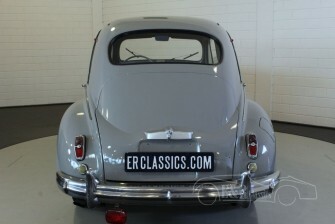 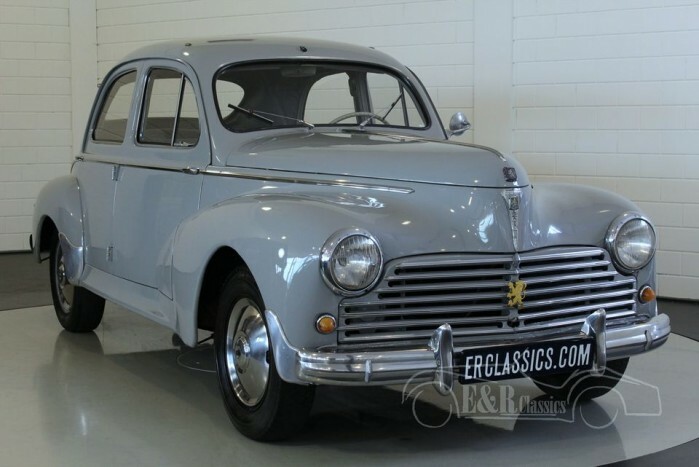 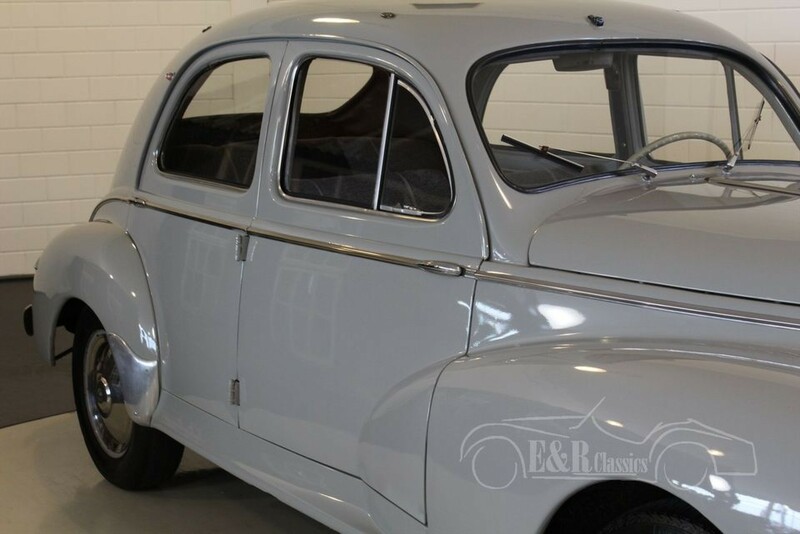 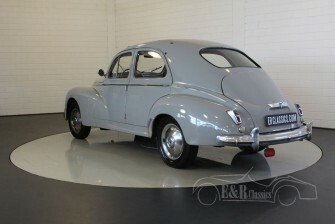 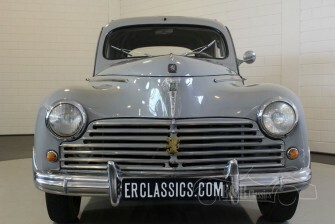 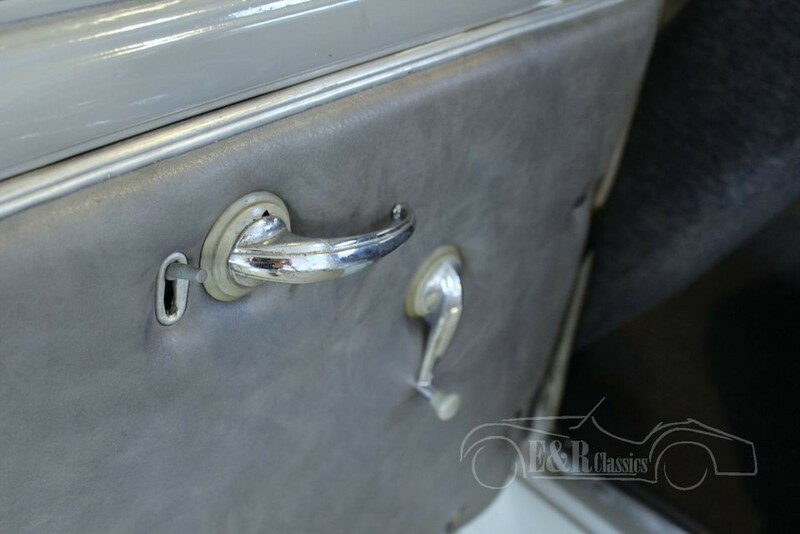 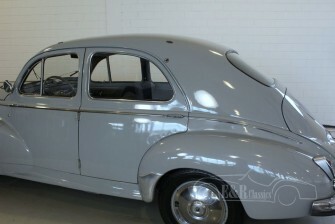 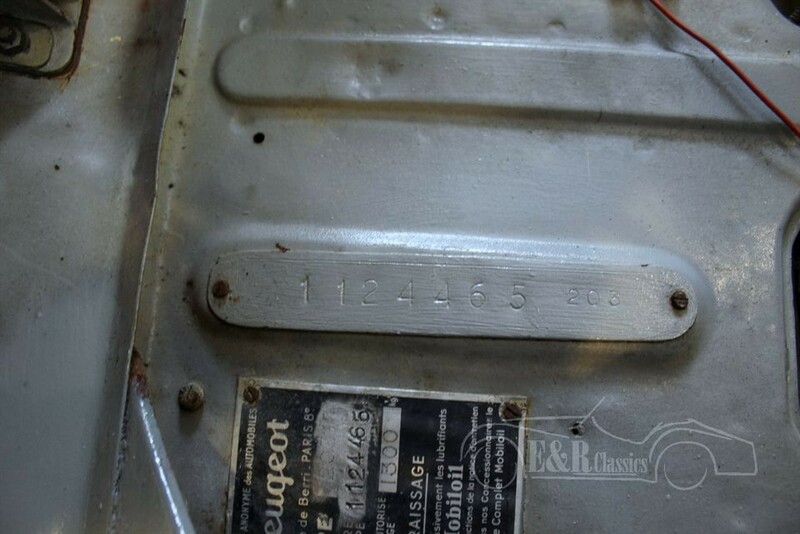 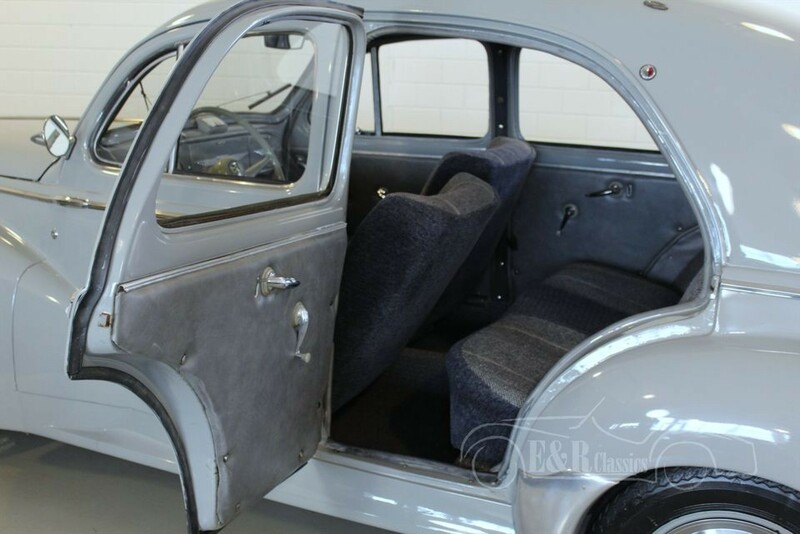 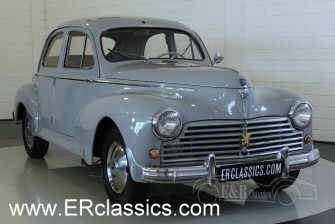 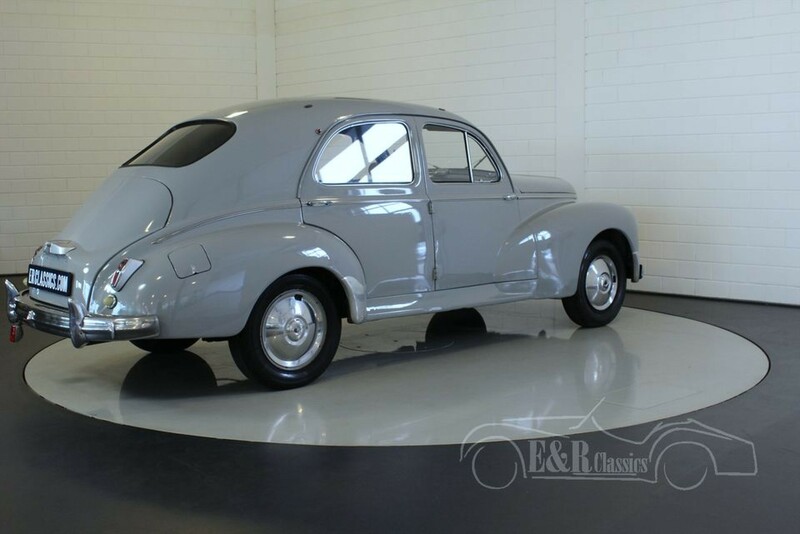 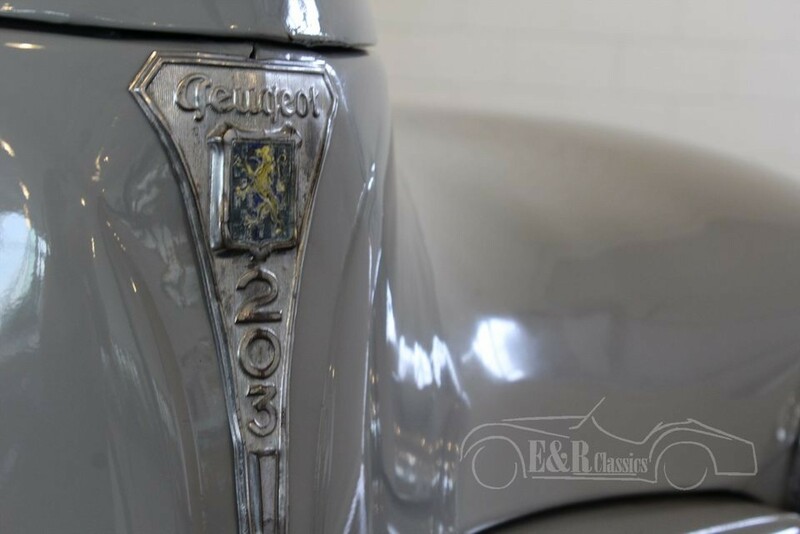 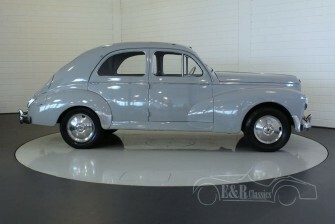 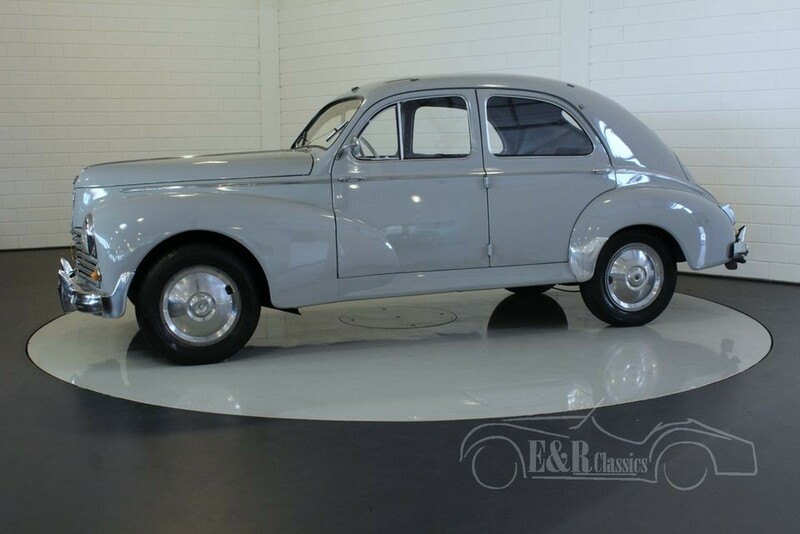 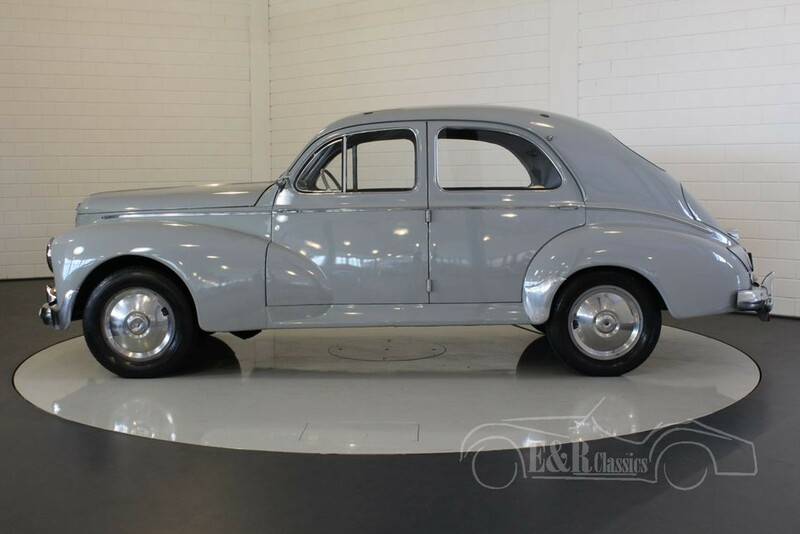 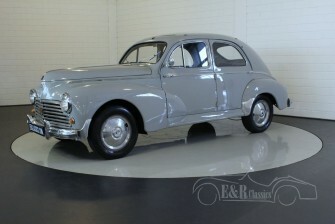 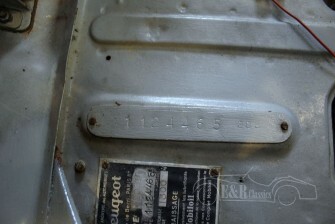 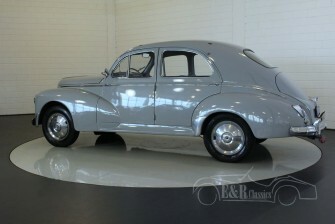 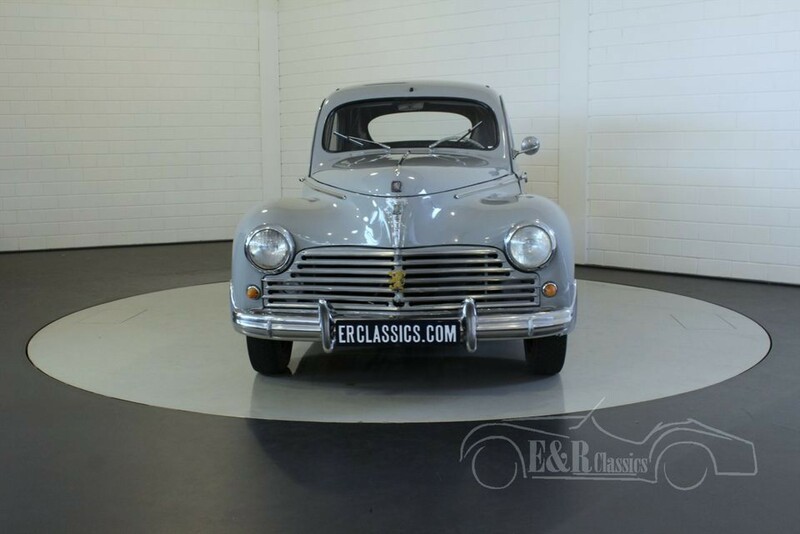 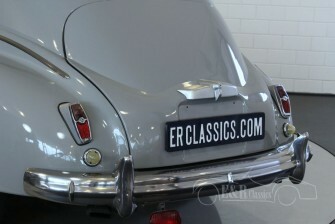 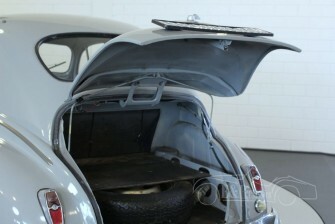 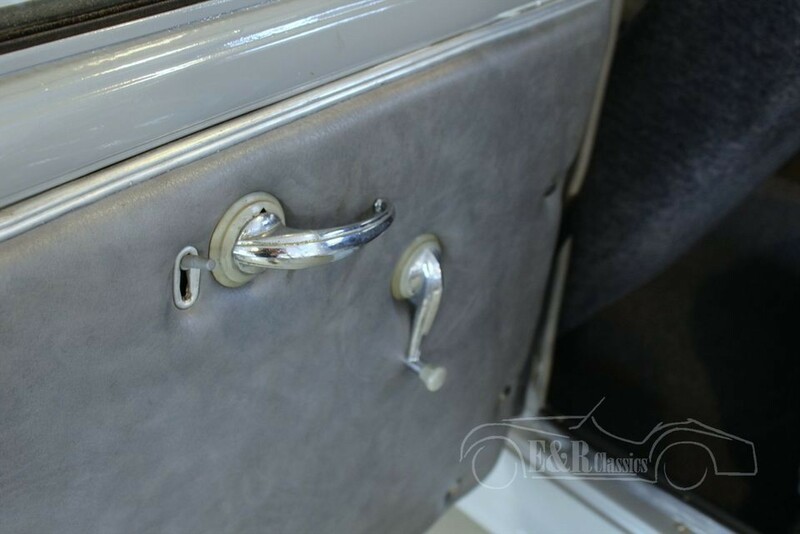 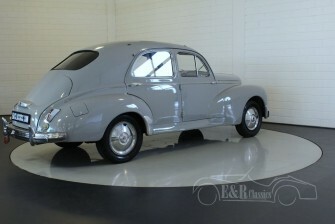 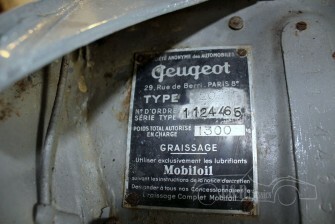 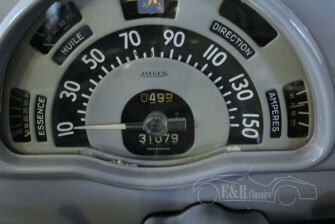 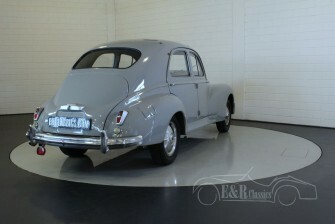 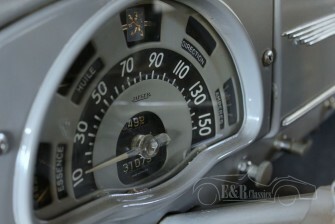 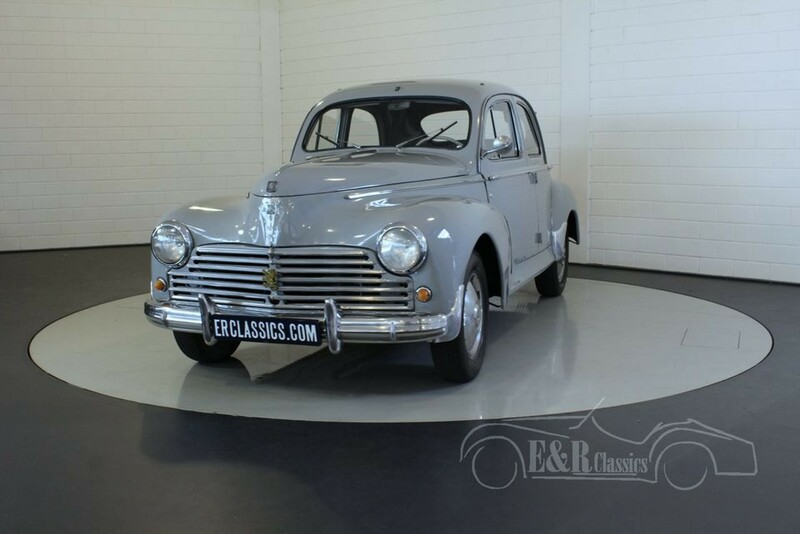 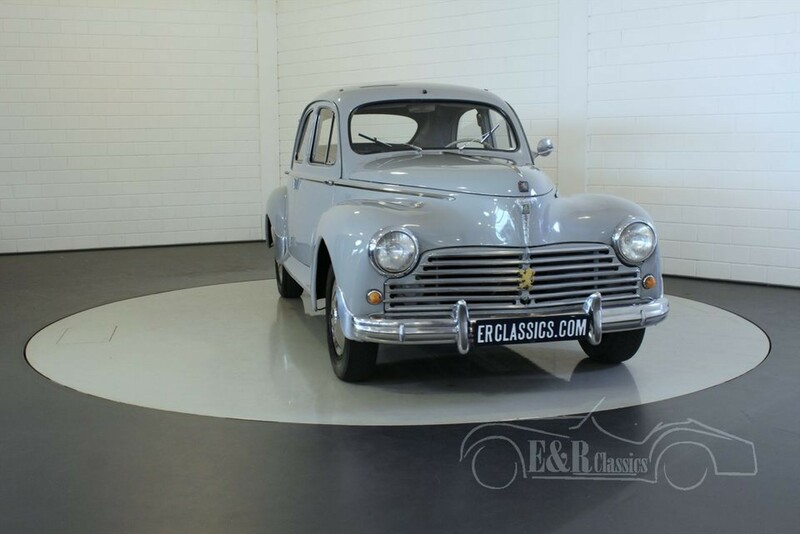 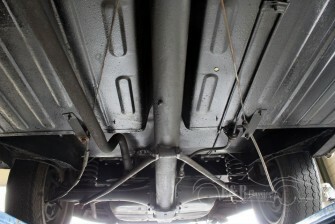 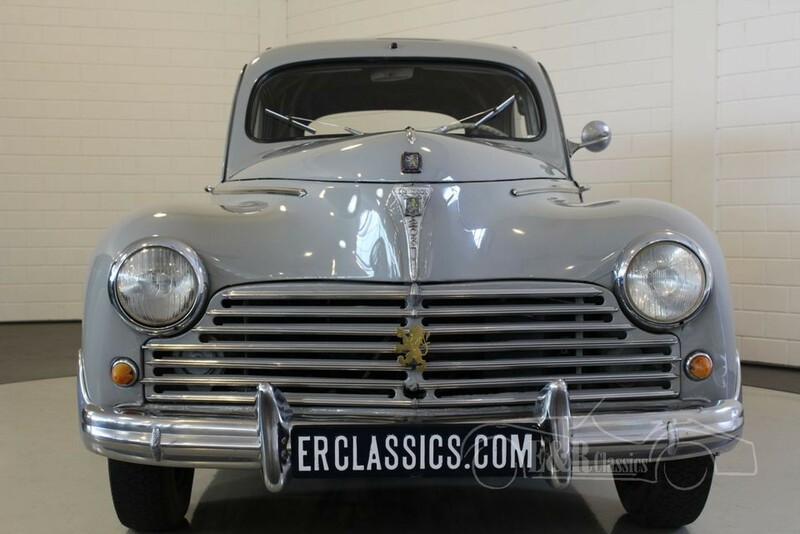 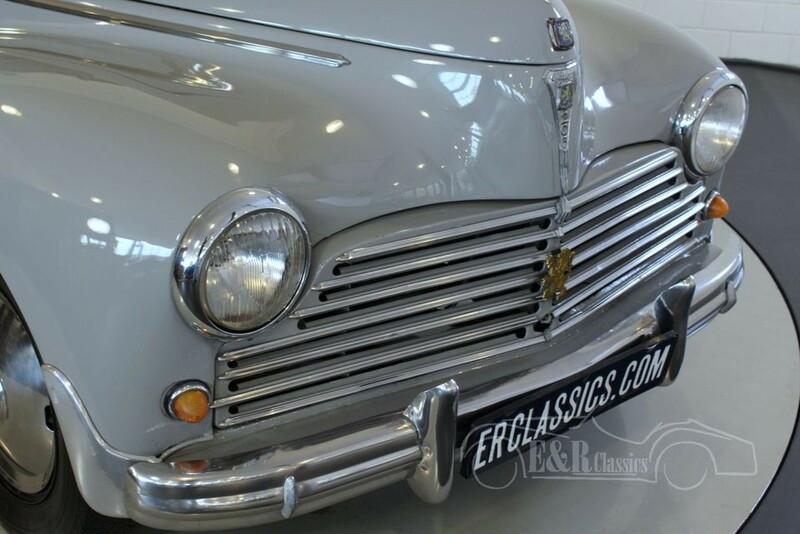 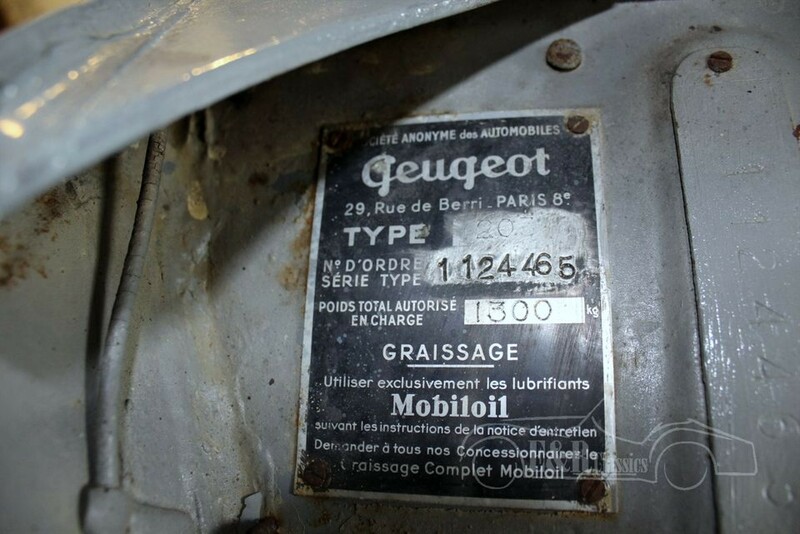 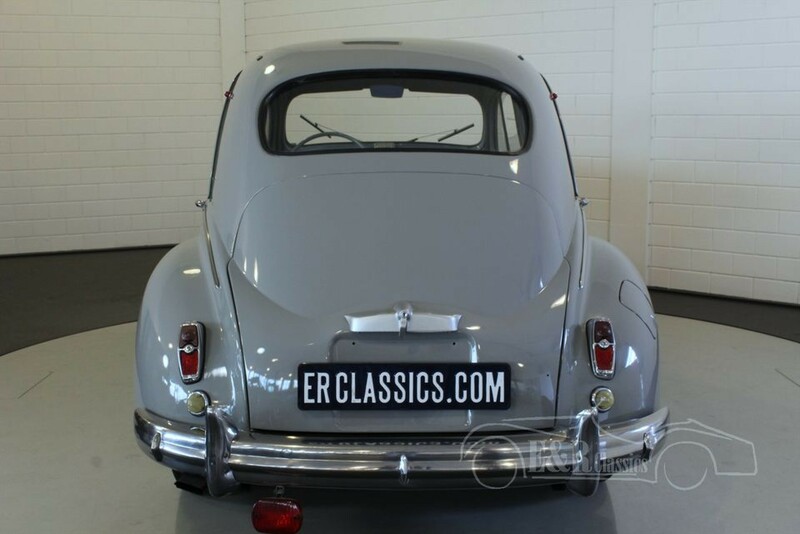 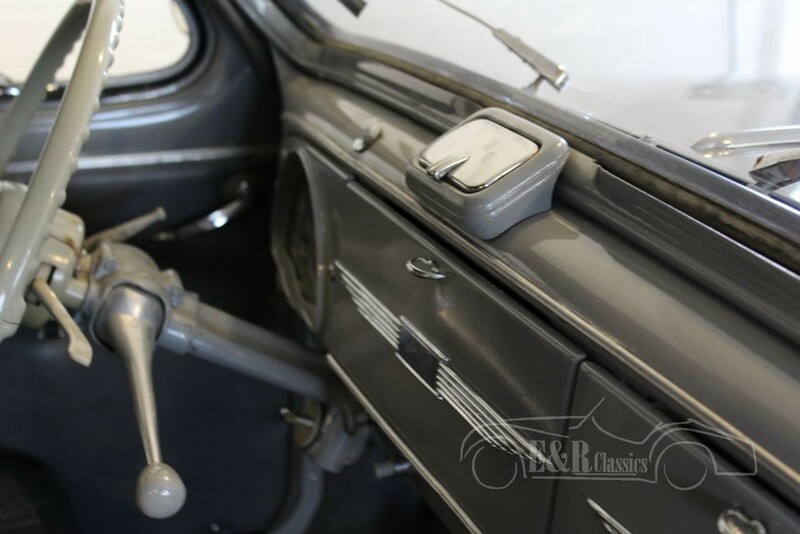 This Peugeot was delivered in 1950 in the original grey paint. 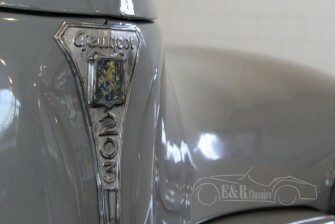 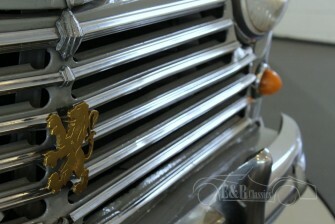 The chrome of this Peugeot is in a beautiful original condition. 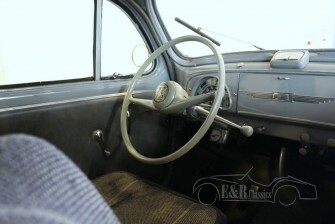 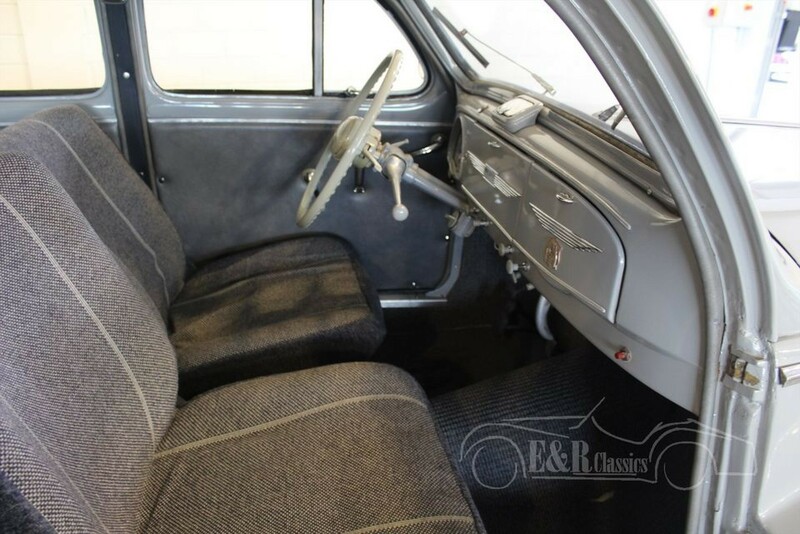 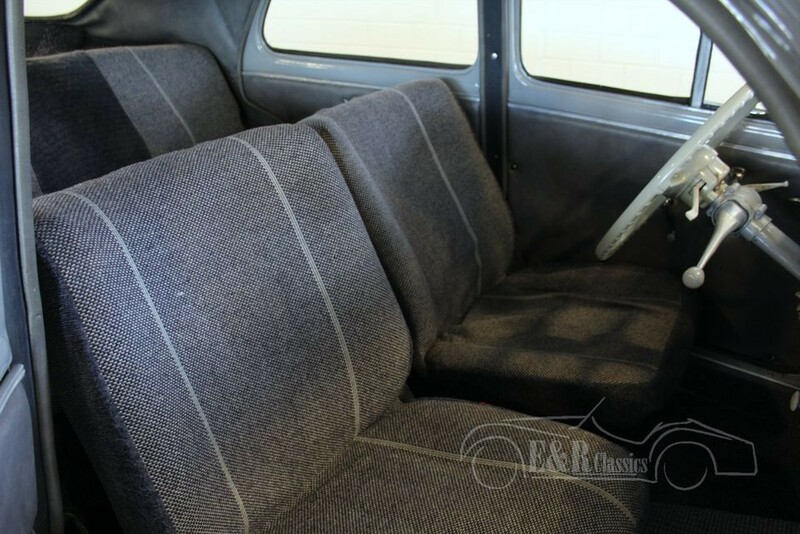 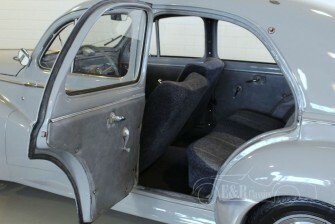 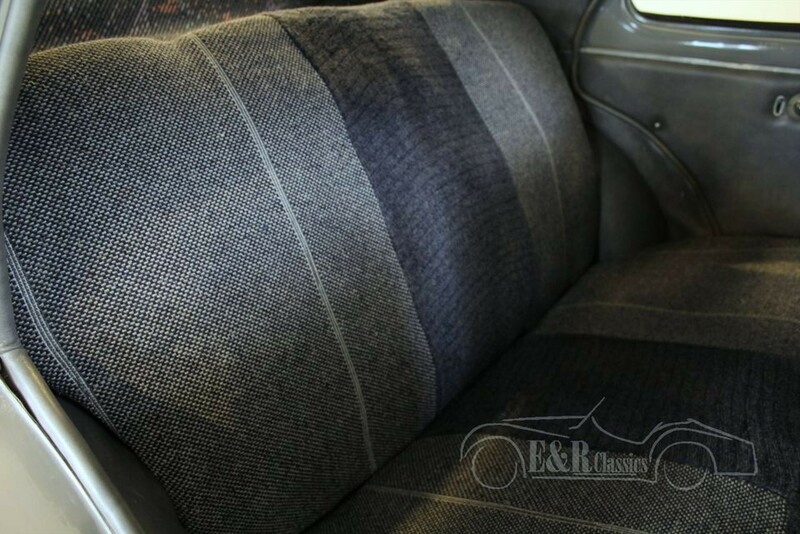 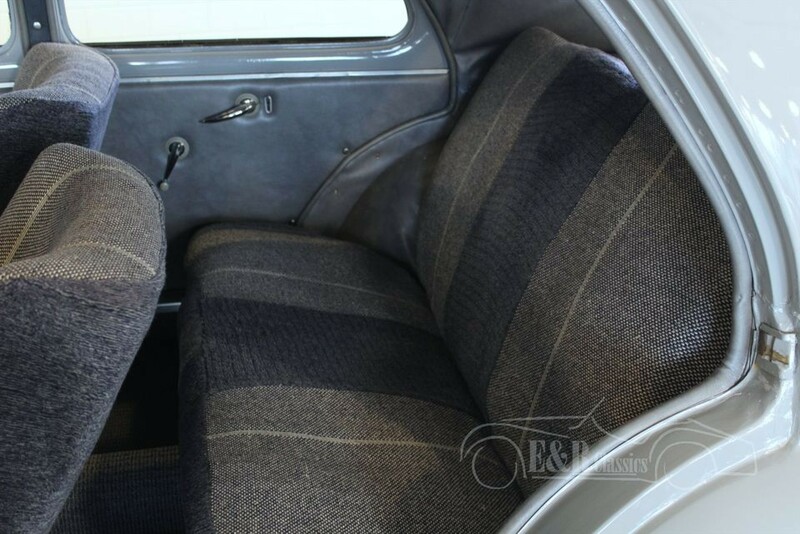 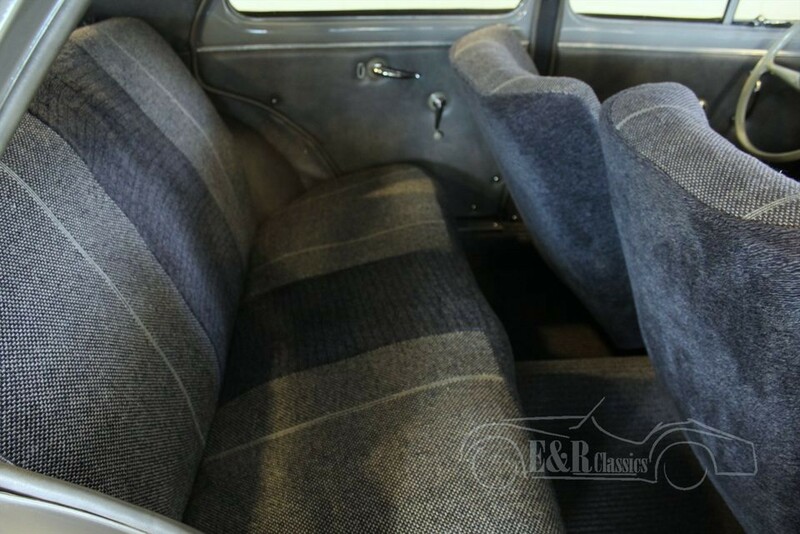 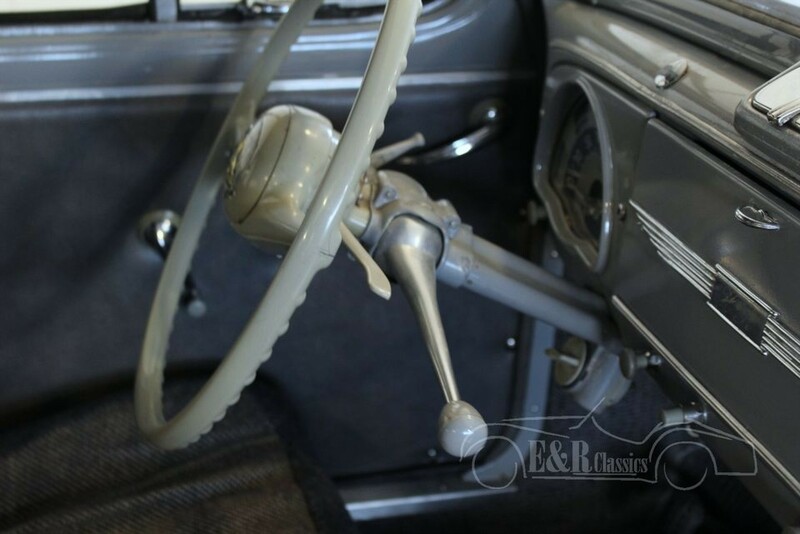 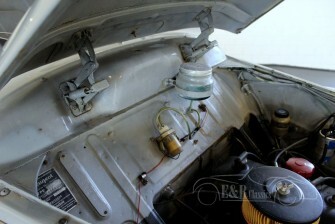 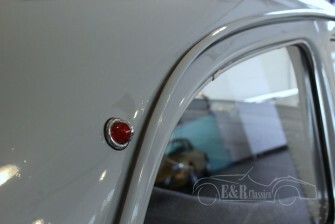 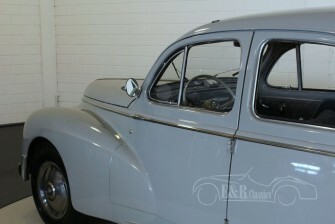 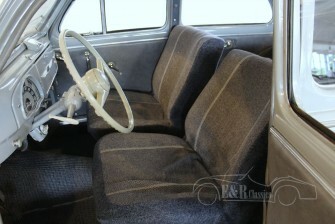 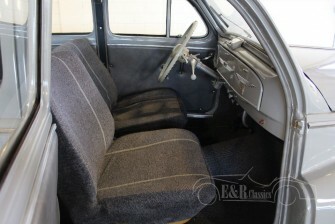 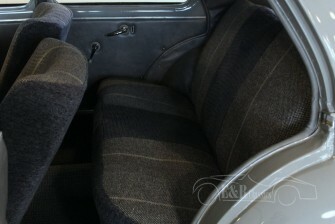 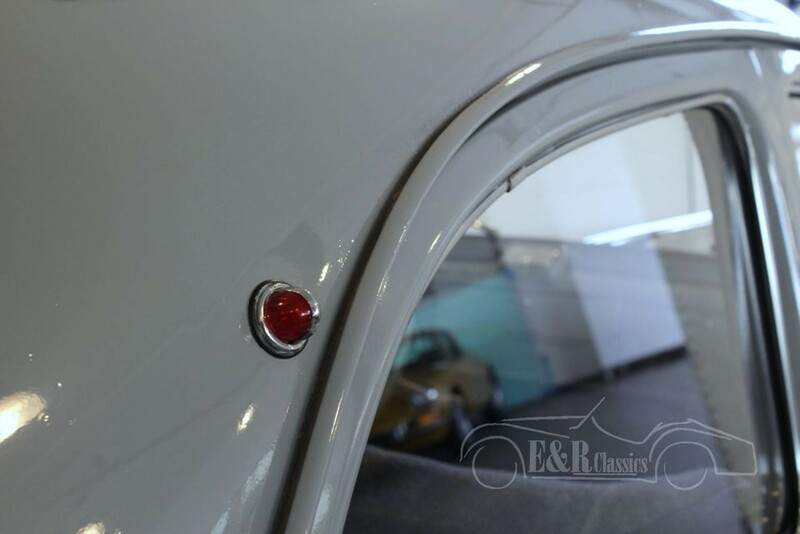 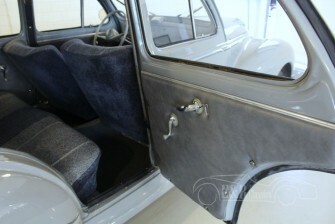 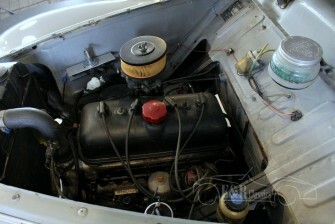 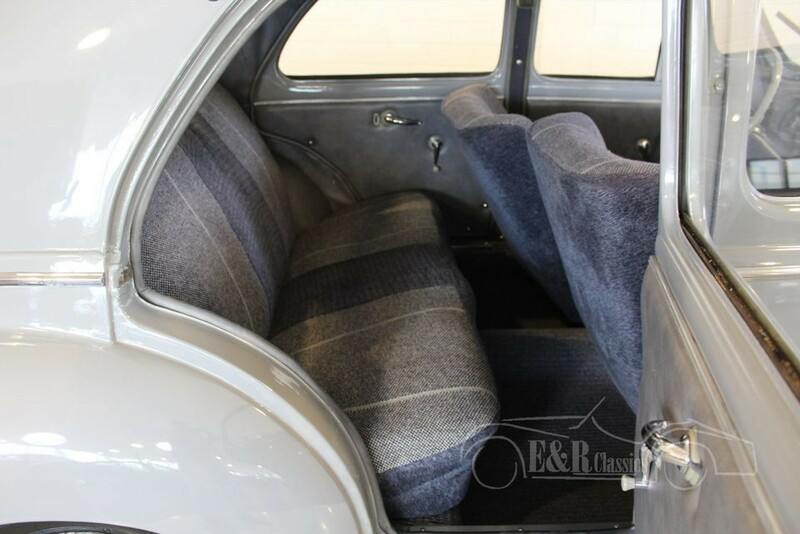 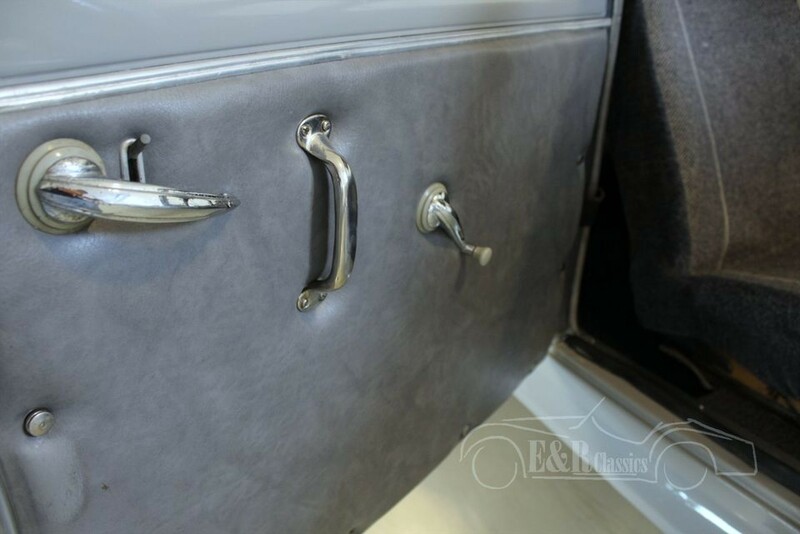 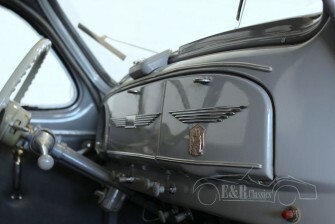 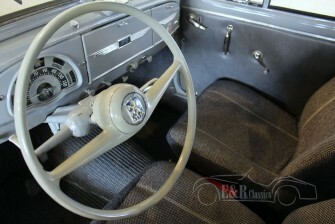 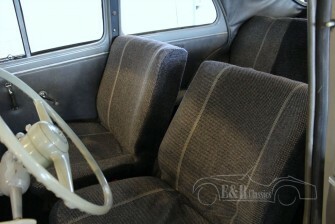 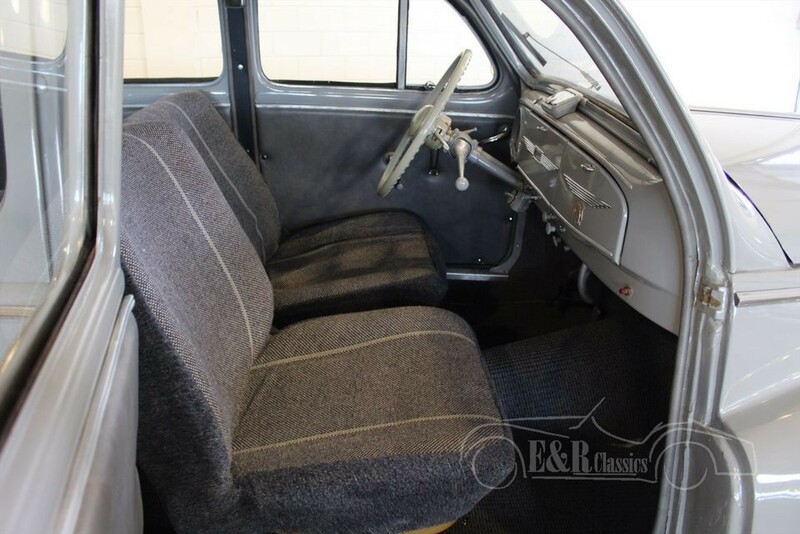 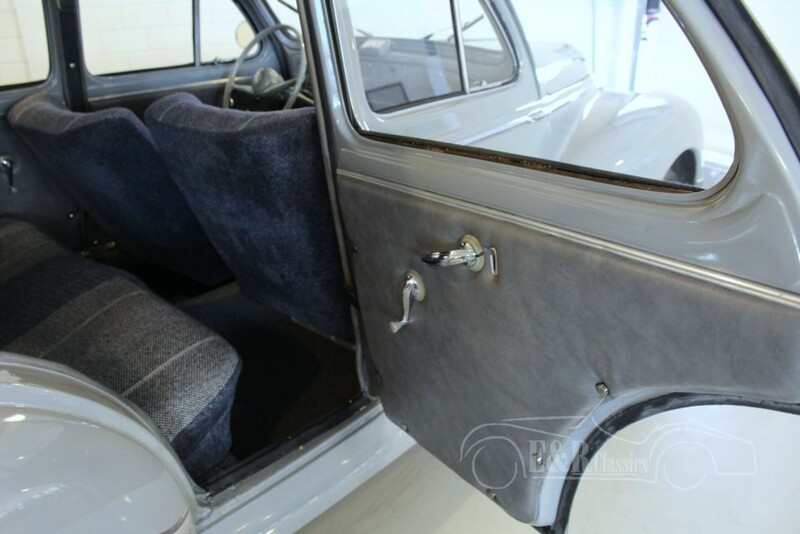 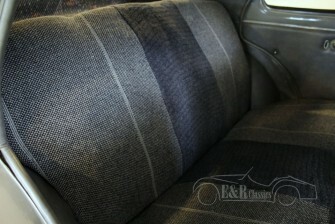 The car has a cloth interior with a beautiful varnished dashboard. 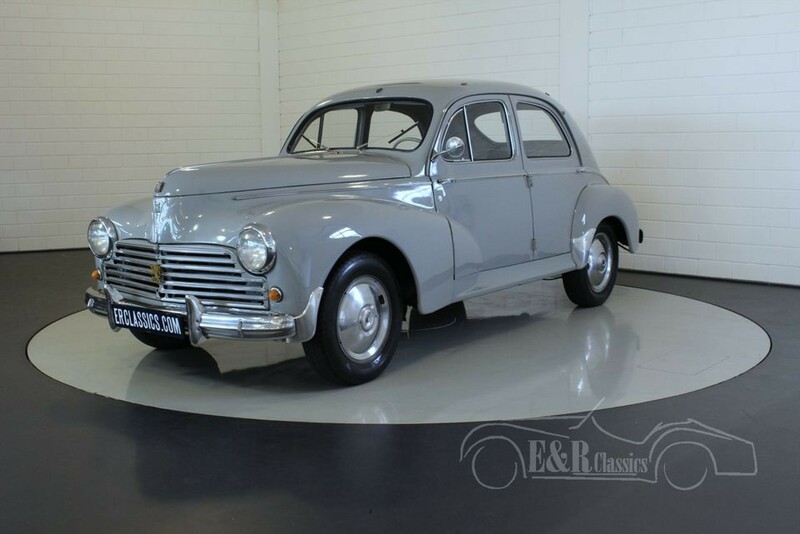 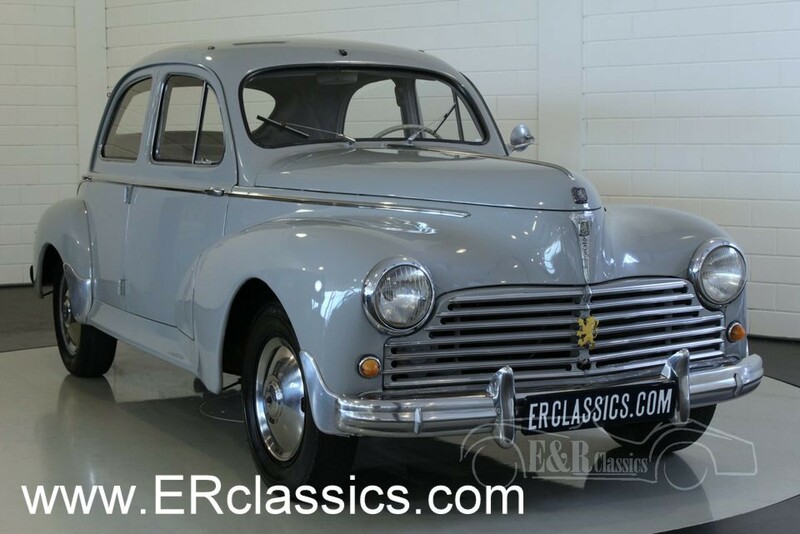 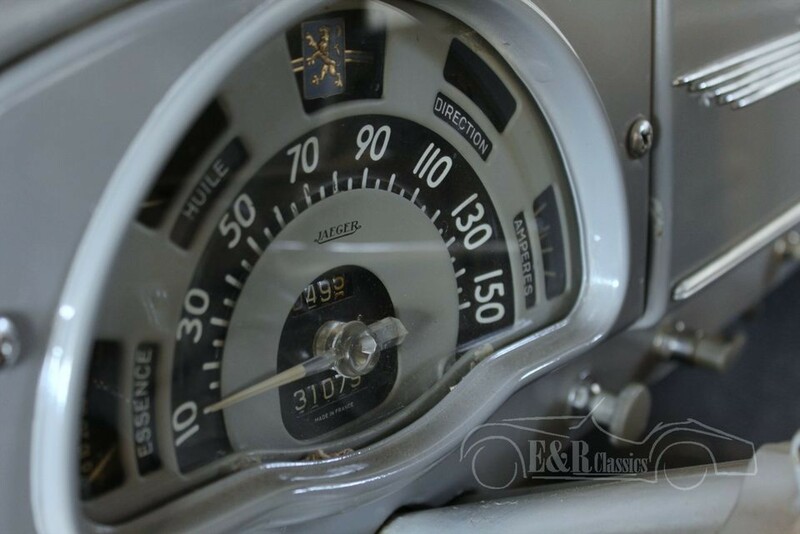 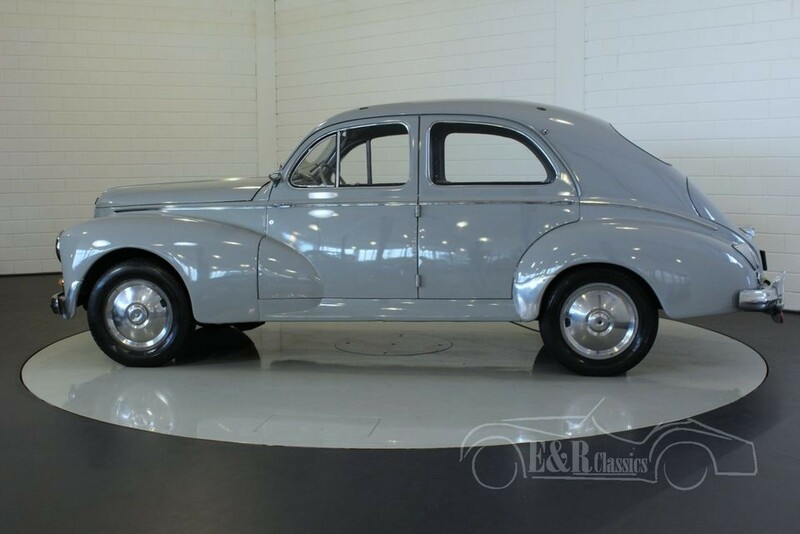 This Peugeot has the original 1290 CC, 45 HP engine and is easy to handle because of the synchronised steering column gear change. 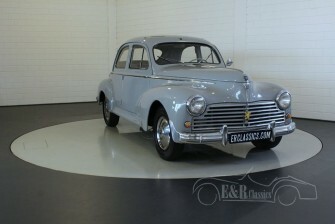 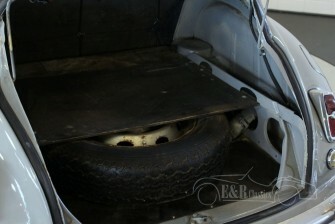 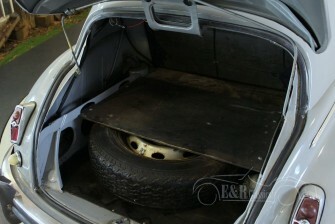 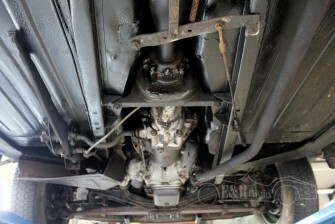 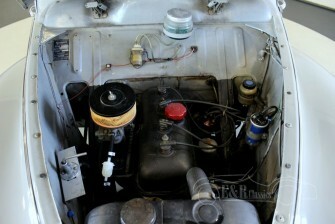 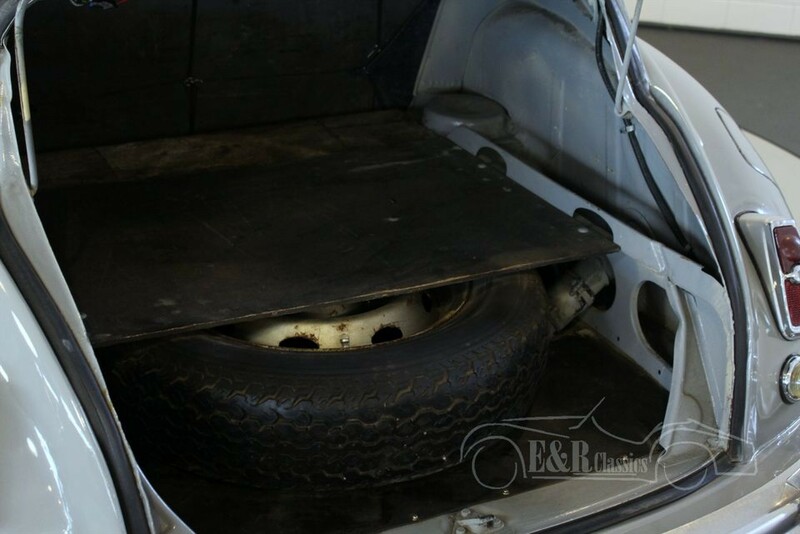 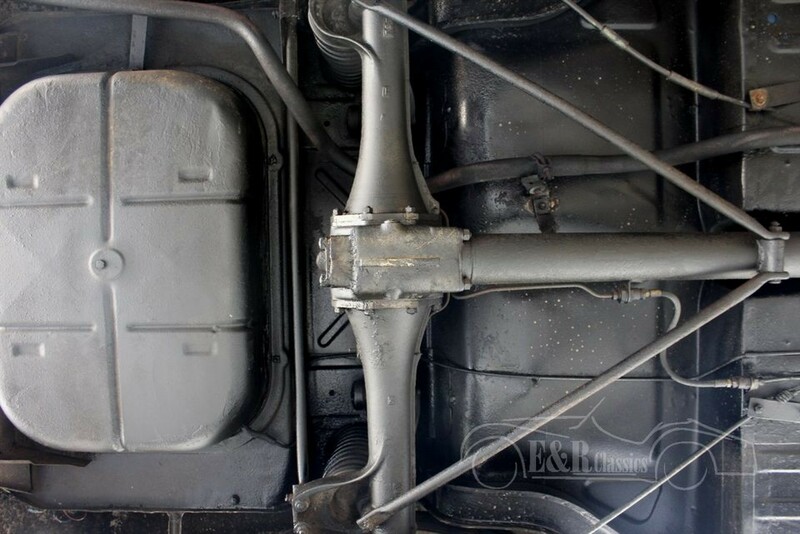 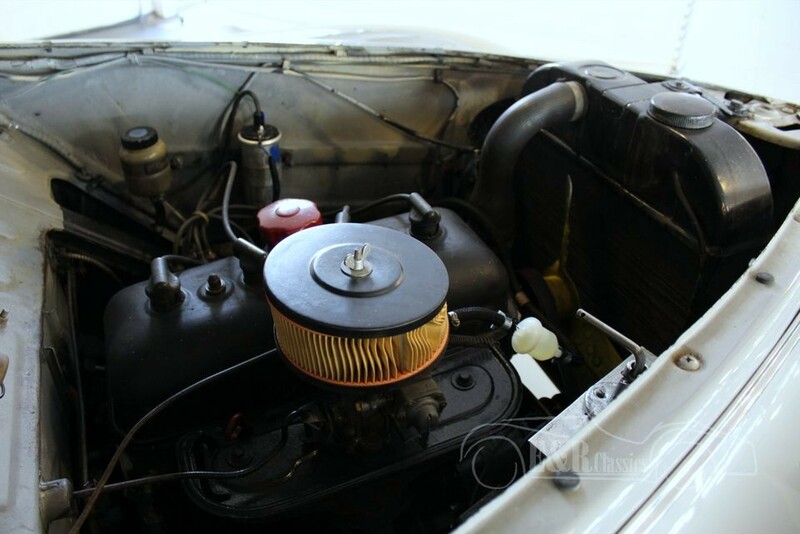 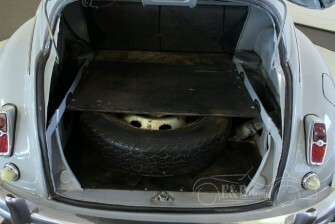 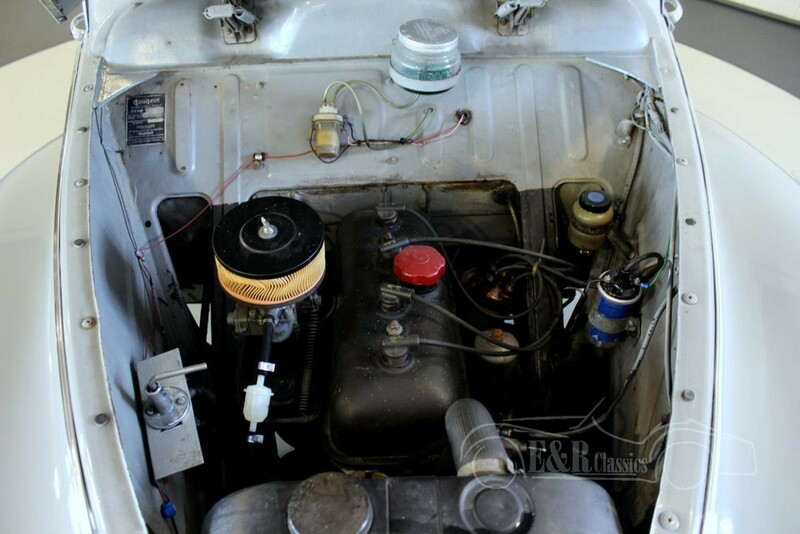 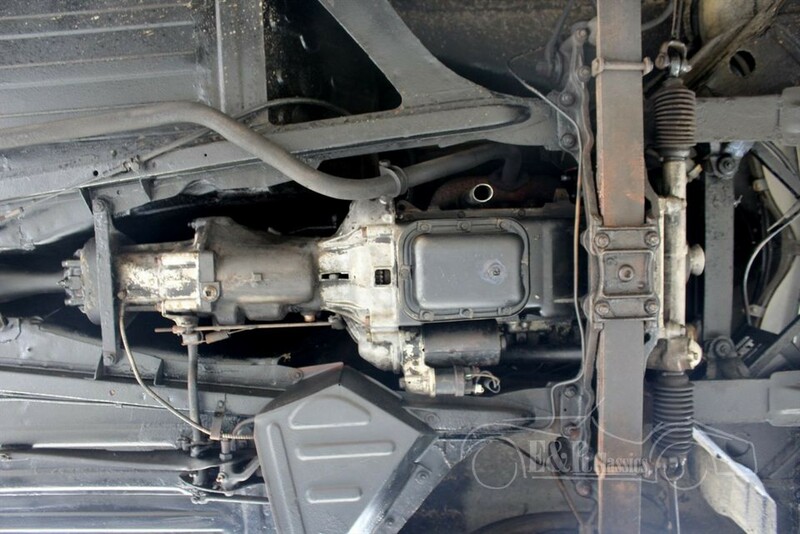 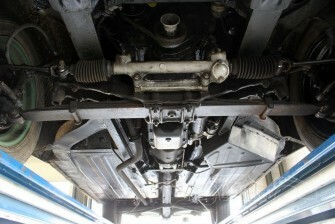 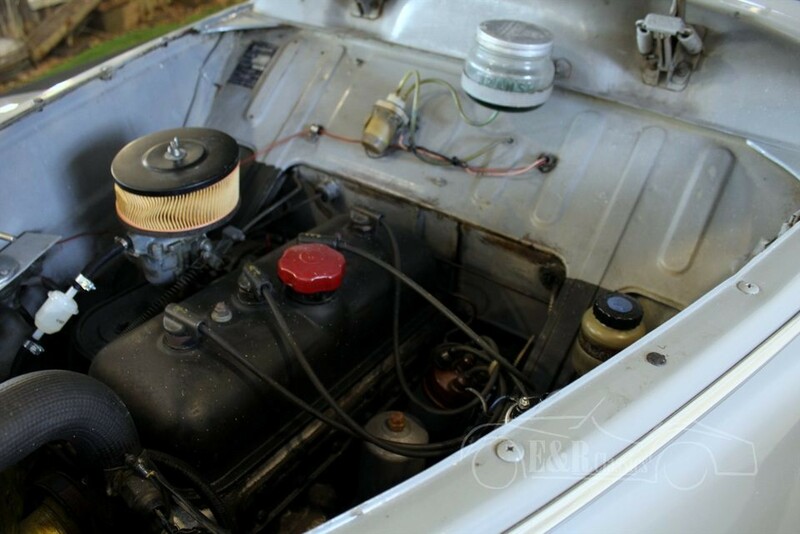 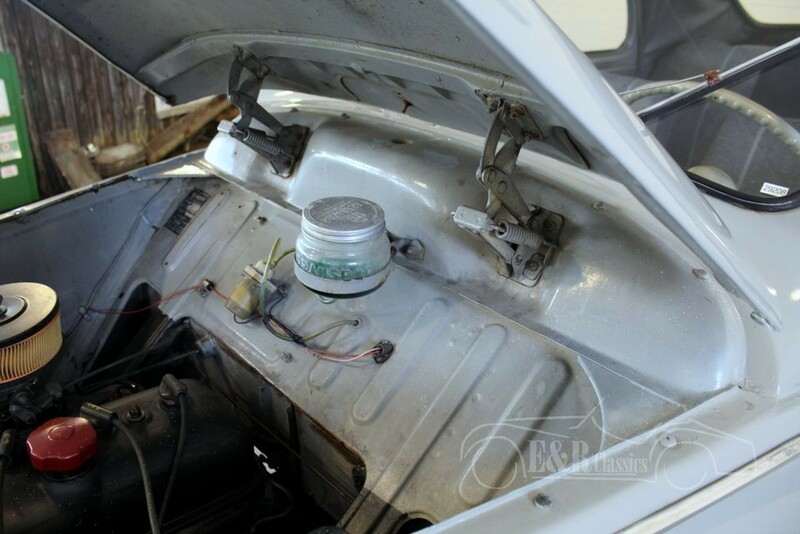 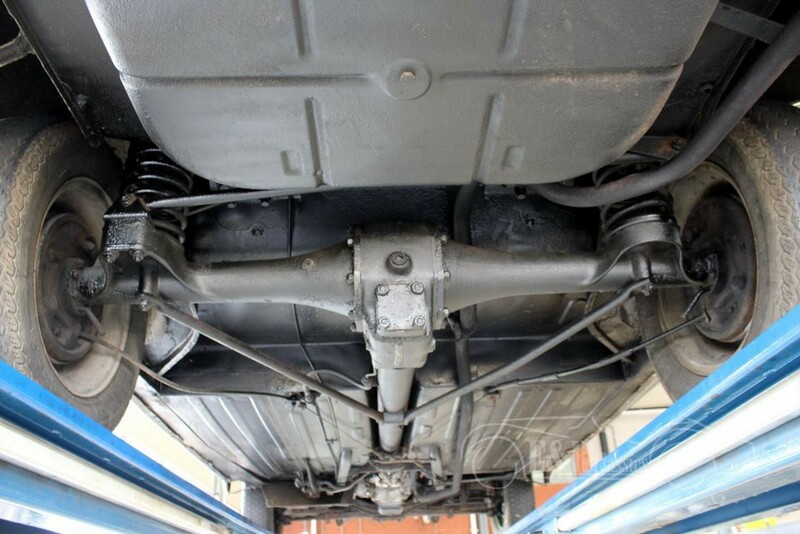 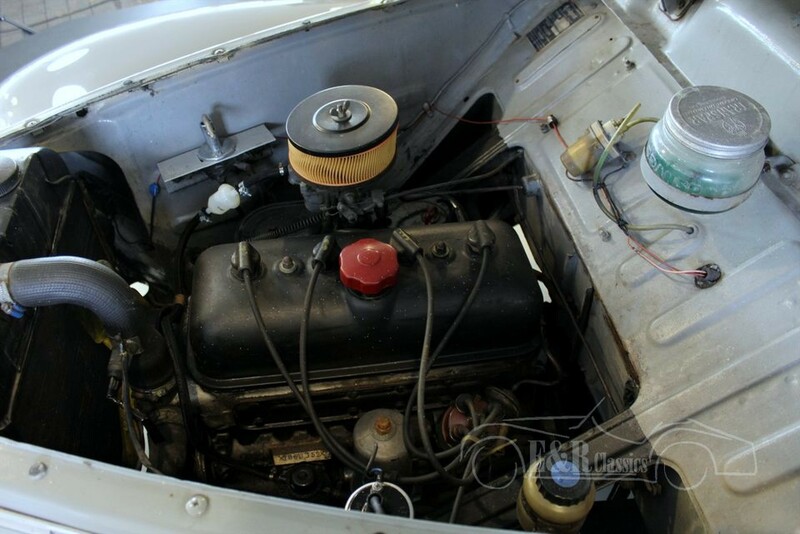 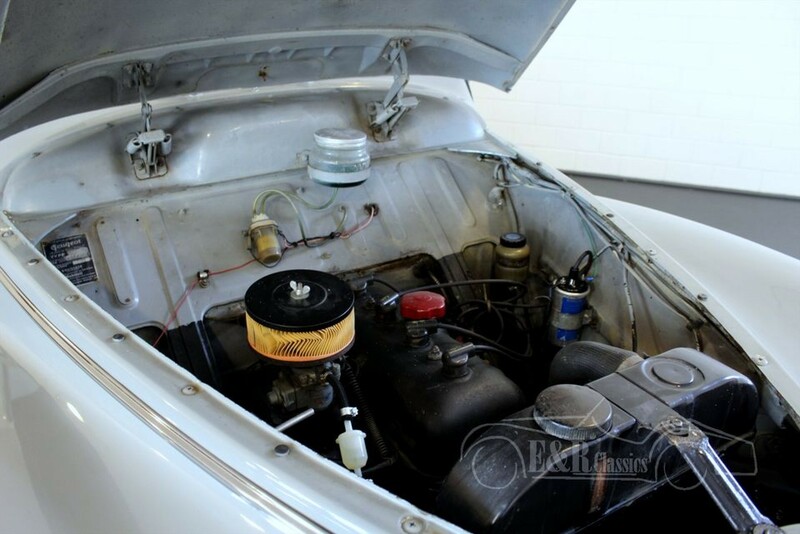 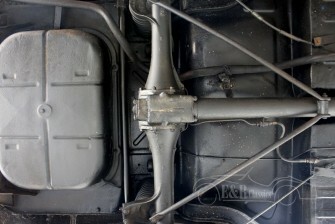 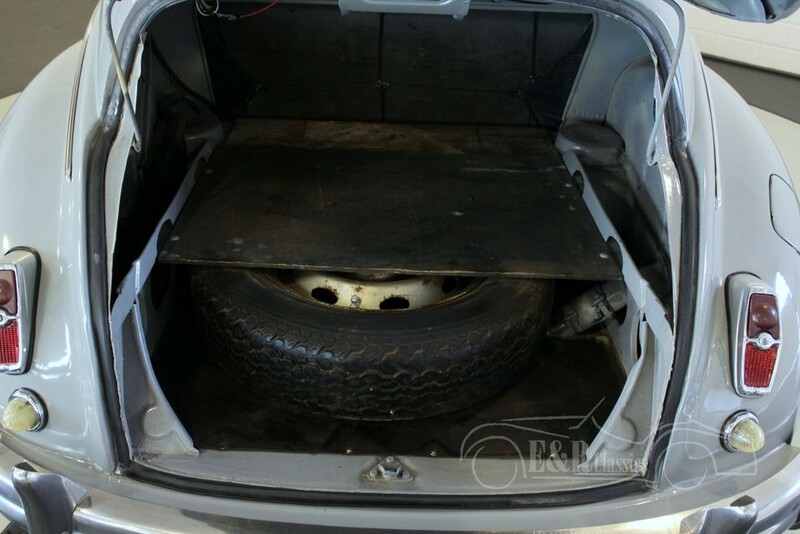 This Peugeot is very well maintained and drives great.